The Methuselah Foundation wants to extend healthy life – By advancing tissue engineering and regenerative medicine, they want to create a world where 90-year olds can be as healthy as 50-year olds—by 2030. The White House Organ Summit was held this past June. At the formal press event we announced that we NASA had chosen to partner with us as leaders in the industry, along with the New Organ Alliance and CASIS to organize and administer a $500,000 prize to the first three teams who successfully create vascularized thick human tissue; the intended outcome is that it can be developed for therapeutic applications here both on earth (such as closing the gap in the organ shortage) and in deep space exploration. Why is this important? The outcome we are reaching for with the Vascular Tissue Challenge is in lockstep with our goal to bring “new parts for people” to the clinic – not just full organs for transplant, but all tissues: new skin, cartilage, nerve, vessels and bone. Microvascularization is the key barrier to allowing the explosion of progress towards “new parts for people”. Methuselah is leading the way to pierce and destroy this barrier. We have several updates on the NASA Vascular Tissue Challenge for you. Seven teams have now signed up to officially pursue the Vascular Tissue Challenge, and we co-chaired a session on the New Organ road-mapping work and Vascular tissue Challenge at the World Stem Cell Summit Dec 5-10. To aid in this endeavor, we completed a second road-mapping workshop with specific focus on overcoming the thick-tissue vascularization barrier. This was hosted at NASA Ames, Nov 9-10. We received participation from 100 leaders in the field, along with government representatives from NIH, NSF, VA, NASA, and DOD. We are pursuing the development of an expanded road-mapping Summit for 2017 that will be supported by NASA, NIH, NSF, CIRM, and other partners. We have made plans to expand the New Organ Alliance into an official Research Coordination Network with the NSF next year. This partnership with NASA and other medical pioneer organizations could lead to alleviating the suffering of those in need of organs, and add to the quality of life for millions in the future. It has us very excited! In September of this year our partner and portfolio company Organovo announced it had created the world’s first ever 3-D architecturally correct human kidney tissue assays. What makes this a game changer? This development alone may cut off a decade or more of time, and save billions of dollars wasted in drug development. The ability to test viable human tissue will also make animal testing obsolete. The end result can also make much more effective drugs available much more quickly, and at a much lower cost. In addition, Organovo is continuing to build on these achievements by moving forward with work on a 3-D liver tissue “patch” for therapeutic use. These patches will help heal diseased kidneys and are on track to be developed in three to five years. We were also excited to announce, as part of our ongoing 3d Tissue Engineering University Printer Grant program, the UCSF bone organoid 3d Printer partnership in June 2016. This partnership is designed to research creation of new bones and cartilage. The Methuselah Foundation has also awarded a 3-D printer grant to Dr. Melissa Little of the Royal Children’s Hospital in Melbourne, Australia, allowing her to collaborate with Organovo in this endeavor. During 2016 the Organ Preservation Alliance was responsible for the launch of new cryopreservation and organ preservation initiatives, which were announced by the White House. Among them was a partnership with the American Society of Transplantation to launch a new branch of its organization devoted to advancing organ preservation and cryobanking. This resulted from an Organ Preservation Alliance-hosted roundtable on Capitol Hill that brought together almost 50 leaders from the American Heart Association, American Liver Foundation and other large stakeholder organizations. Also announced by the White House in 2016 was the upcoming Organ Banking Summit at Harvard, which brings together leading cryopreservation researchers and top researchers from other fields, prestigious journals, and transplant leaders. Other initiatives announced included $15 million in grants launched by the Dept. of Defense resulting from the Organ Preservation Alliance, a Breakthrough Ideas in Organ Banking hackathon, and a technology road-mapping program in partnership with New Organ, the American Society of Mechanical Engineers, and other organizations. Our work through Leucadia Therapeutics has also yielded eye-opening developments this year. We continue to study the brain with a view towards alleviating the suffering of people and their loved ones when Alzheimer’s disease begins to take its toll. We have undertaken deep examination of the cribriform plate, along with some otherwise overlooked approaches to studies of the brain and surrounding tissue and material. 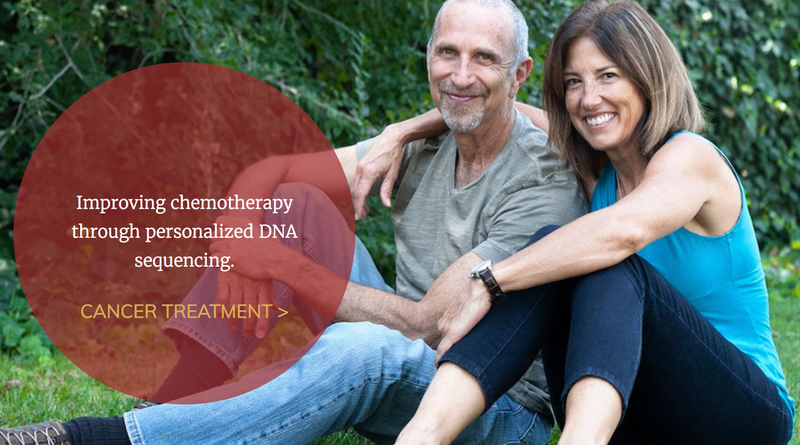 We believe we have originated approaches to treatment that appear to be profound. We are currently evaluating cribriform plates in Alzheimer’s patients at a level of detail that has never been done before. This new level of detail that was only reached in late 2016 has opened doors to treatment that was unthinkable only a year ago. While we cannot elaborate at length on what or why we consider this approach “profound”, we do want you to know we have a clear and definite path we are following. Our research is heading in a direction that could very well bring previously unmatched value to those suffering from Alzheimer’s. Oisin Biotechnology made strong progress in recent months as we pursue a multi-pronged research in areas of longevity science. As a result of grants from Methuselah Foundation, Oisin has continued to pursue senescent cell ablation, and continues laying groundwork in eliminating senescent cells based on their gene expression. Research strongly implicates those cells in the aging phenotype, and removal has been shown to extend median survival and health span in mice. Oisin and our colleagues have greatly improved both the manufacturability and efficiency of our liposomal manufacturing process, which was a large, necessary step towards making the future therapy cost effective and affordable. We’ve also confirmed our findings of last year that our patent-pending approach effectively kills senescent cells in cell culture. With support from Methuselah, SENS Research Foundation, and their longtime supporters, Oisin was able to secure sufficient funds for their continuing operations and thus avoid the need for venture capital – allowing it to focus on achieving Methuselah’s strategy to “get the crud out”. Oisin is also actively pursuing research in another very significant field that cannot be revealed in detail at this time of crucial testing and verification. However, our research on this particular project has exceeded all expectations. Once our verification work concludes, we will reveal this exciting work to all those of you who power the Methuselah Foundation. We are driven to get this to the clinic. What we are doing is not simply an academic pursuit! We are working hard to make a lasting and valuable difference in people’s lives. On December 2016, the Methuselah Foundation started a new initiative it expects will accelerate clinical delivery of mission relevant interventions. It is called the Methuselah Fund, or M Fund. Currently, the foundation believes that one of the fastest and most effective ways to achieve our mission is by investing in for-profit companies. We want to replicate and expand our successes via the M Fund, and we would love for you, our network, to be a part of this initiative.